Following the successful release of his popular singles including 'Make Me Whole' and 'Come To Praise', Nyasha T has released his debut album 'Arise & Shine' on 6th July 2018. 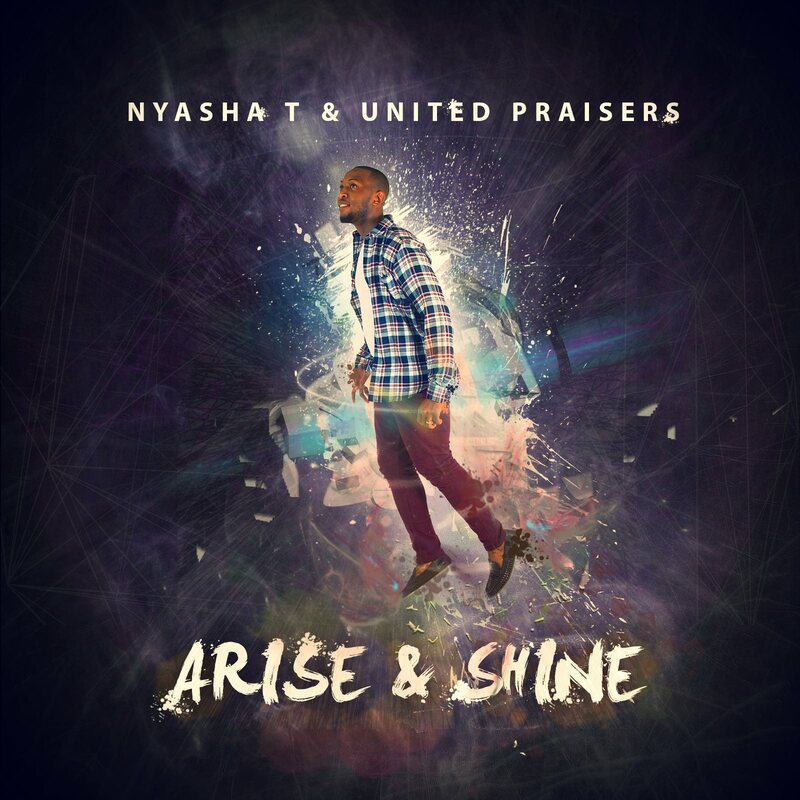 'Arise & Shine' is a compilation of Nyasha T’s skilled and unique approach to writing songs that fit perfectly in a praise and worship set or personal time with the Lord. With the combination of moving lyrics and great musical arrangements, Arise & Shine is set to be a favourite. Read More Following the successful release of his popular singles including 'Make Me Whole' and 'Come To Praise', Nyasha T has released his debut album 'Arise & Shine' on 6th July 2018. NyashaT is an up and coming singer, song writer and worship leader, whose mandate is to let the world know of the wonders of Christ and His glorious love. Following the release of his single We Declare (Isaiah 53 vs 5) which was 2nd on the iTunes Charts, NyashaT has started his work on his first full album called Arise and Shine. NyashaT was exposed to singing from a young age, being part of his school choir and the worship team at Forward in Faith (Zaoga). However, he only started to take this seriously at the age of 15 when he joined New Wine Youth Choir. While being part of the Youth choir, NyashaT was given the opportunity to lead worship. He later was moved to the New Wine Mass Choir where he is now one of the choir leaders working a long side Lawrence Johnson, who is known for his work with London Community Gospel Choir. New Wine Mass Choir has opened doors for Nyasha to be able to work with the likes of Israel Houghton, Martha Munizzi, Micah Stampley and several other high profile gospel artists. NyashaT is also a member of Riversongz, who are known for their work with Muyiwa and Riversongz. During his university days, NyashaT attended a church in Colchester called Kesed. Here his eyes were opened to a whole different style of worship, which has greatly shaped his style of music. Nyasha lead worship at Kesed and had the opportunity to work with Wayne and Libby Huirua from Equippers Church, as well as the Equippers church, London worship team. Having lived in poverty and experienced physical and mental bullying has allowed NyashaT to feel compassion towards those who are going through these things and is one of the many things he wants to tackle as an artist. He is heavily involved in the New Wine Church hamper campaign, as well as supporting New Wine mission trips and other mission trips. NyashaT was born in Zimbabwe where he lived for 13 years of his life before moving to Indiana, USA. NyashaT later moved to the United Kingdom where he has spent all of his adult life. Having been exposed to different environments and styles of music has allowed NyashaT to not a single genre artist. Nyasha believes that he’s music appeals to a wide variety of people and that he’s music represents the new journey God is taking him on. His music is more than just songs, but are heart felt words to the Father and he is ready to tell the world.